Seattle’s fingers are crossed…and we’re pulling for you!! Go Sounders…I mean Team USA!! 2 – 1 and on we go! Don’t forget we’re showing many of the games at Central, High Point & Northgate!! 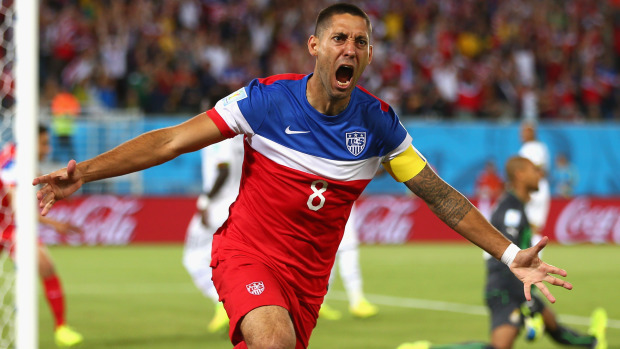 Dempsey & Brooks = dramatic USA World Cup win! Give Us Your Full 90! Today is the Seattle Sounders FC’s first home game of 2013. Tickets are still available to go to the game, or you can watch it live on King 5. Even if you can’t give them your FULL 90, you can find loads of great soccer stuff at your local library. This entry was posted in Community, Events, Tidbits and tagged soccer, Sounders, sports on March 2, 2013 by pushtotalkteens.